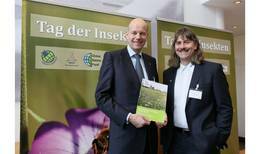 Klaus Reckhaus has a vision: To offer better solutions for insect control. 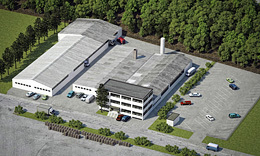 The entrepreneur in Bielefeld founds Reckhaus. 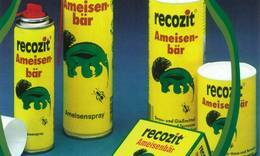 The products which he sells are given a name to remember: «recozit» is formed from Reckhaus and insecticide. Start of the own production in the cellar of the private house, which also serves as a headquarters for the company. 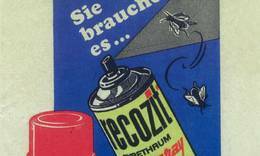 Reckhaus is one of the first companies to fill aerosol cans in Germany. Own liquid filling and packaging. Building of the first production hall. The new machines are used for the own trademark and for the production for third parties which is becoming more and more important. With «recosun» the company launches a sun screen line, which contributes to the success of the business for many years. Even the German Olympic team is equipped with it. The call for insect control, which harmonises effectiveness and ecology, becomes louder. The green recozit anteater, ambassador of the new naturalness, captures the hearts of the consumers as an eye-catcher in the specialist trade and in TV advertising. Klaus Reckhaus bundles the forces in chemistry. After around ten successful year with the trademark «elle by Reckhaus» and as a trading partner of leading international labels the company separates from the second pillar «ladies outwear». Klaus Reckhaus hands over control to the two sons Arne and Hans-Dietrich, who joined the company in 1988 or 1992. The production is automated and extended. The company is considered to be a model business for the compliance with tighter environmental provisions. The production is consistently expanded, for example with minisprays and moth paper. Dr. H.-D. Reckhaus, who studied at the University of St.Gallen, builds up an own location on the Swiss market. The company positions itself internationally. Happy Birthday, Reckhaus! 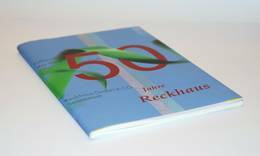 With an artistically designed honorary publication and a large party in Bielefeld, Reckhaus celebrates the 50th anniversary – a welcome reason to reinforce the solidarity with employees, customers and partners. With the action «save flies in Deppendorf», an idea of Frank and Patrik Riklin of the Atelier für Sonderaufgaben, Reckhaus makes the value of the housefly a topic. 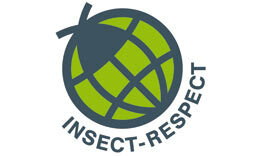 An innovative world product is produced from the occupation with this question: the INSECT RESPECT® quality mark for insect control with compensation area. The compensation principle is used for the first time worldwide in the new production line of Dr. Reckhaus®. 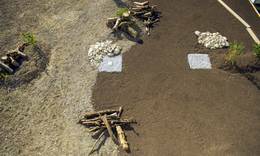 A milestone in the development of Reckhaus conquers the screen: Together with the filmmaker Jelena Gernert, Frank and Patrik Riklin present the trailer of the film «Insect Respect». This documentary tells an impressive story about corporate change – from the campaign «Saving Flies in Deppendorf» through to INSECT RESPECT®, the first product label for insect control with ecological compensation areas. 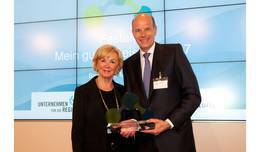 A year of awards: Reckhaus receives several prizes, e.g. the Querdenker-Award in the Category "Lateral Thinker" and nominations at the German Entrepreneur of the Year Awards (by the Harvard Clubs of Germany) and the Kyocera Environmental Prize (in the picture: Dr. Hans-Dietrich Reckhaus with the former German Environmental Minister Prof. Klaus Töpfer). Reckhaus opens the first Swiss Compensation Area. 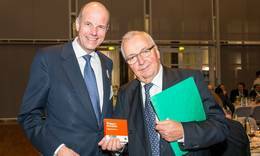 The College of engineering and management of the canton of Vaud (HEIG-VD) hands the Swiss Ethics Award on to Dr. Hans-Dietrich Reckhaus in November. 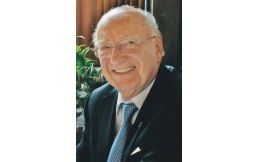 Dr. Hans-Dietrich Reckhaus publishes in January his new book "Why every fly counts. A documentation about value and threats of insects". (original title in German: "Warum jede Fliege zählt. 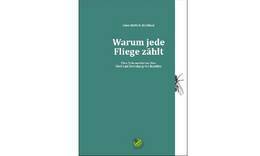 Eine Dokumentation über Wert und Bedrohung von Insekten", Download in German here). 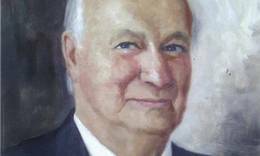 Founder Klaus Reckhaus solemnises his 90th birthday. 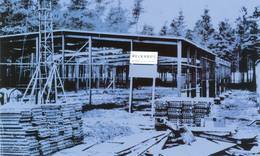 On 1st september 2016, the Reckhaus GmbH & Co. KG simultanous celebrates its 60th company anniversary. The drug store chain dm added products with the Insect Respect label into its product range. Along with fruit fly monitors the company introduced food and clothes moth monitors. 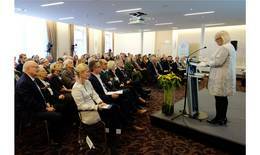 In cooperation with the Bertelsmann Stiftung and the Natural History Museum Bielefeld Reckhaus organised the conference "The Value of Insects" (9th November 2017) and the first "Day of Insects" (30th March 2017). The Reckhaus GmbH & Co. KG received the prize "My good example". The Bertelsmann Stiftung awarded the company for the "raising awareness for biodiversity and the ecological value of insects". Reckhaus joined the initiative 'Biodiversity in Good Company' to connect with other actors forming a insect lobby. 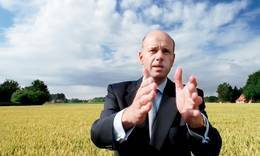 The initiative supports companies to integrate biodiversity and ecosystem services in their sustainability management. From now on the Reckhaus GmbH & Co. KG plans to host the "Day of Insects" every year. The 2nd Day of Insects took place on the 21st and 22nd March. Amongs the speakers were Josef Tumbrinck (Nature And Biodiversity Conservation Union) and Dr. Jürgen Gross (German Society of general and applied Entomology). 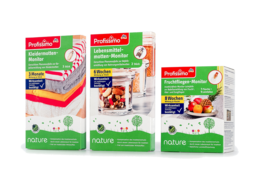 More and more trade partners use the label Insect Respect for their products: A new partner is ALDI Süd.